As often happens when there are more than two minutes of quiet in my house (I didn’t say that quiet was often, though), I was reflecting on some relationships in my life that have been healed—and those still in the waiting place. I must be growing up because I find myself stressing less over what I don’t understand. Let’s face it: There are a lot of human communications I don’t understand. Really, I think I read my Shih Tzus better than people some days. The only One to have the real perspective of both sides of a relational pain is God. Even if the other party explains it to us over coffee for two hours or phone calls for three days, there just isn’t enough of our selflessness to be able to get out of the way and walk fully in the other person’s shoes. Only Jesus, the Suffering Servant, felt everything we feel (the pains, sickness, and sins of all humanity) on the cross. Over the course of my life, I’ve had a hard time letting close relationships fizzle out, get stuck, be left in the Pride Place. Does that mean I live in perfect peace and never marinate in my own anger? No. But as tempting as it can be to just trot off and leave a mark of pain on someone who has hurt us, even passive-aggressively by going silent—Know folks who do this? It’s its own art form!—I take relational fail very seriously. You know what I’m finding out? I often get so overcome while driving, on my prayer walks, and/or during prayer showers (yes, those are awesome!) and feel such a deep burden of pain until I stop and give it to Jesus. Sometimes it’s something unresolved coming at me from five years ago. Don’t you just love those moments? They slam into you, often without any warning, with the force of a Greyhound bus! Sometimes we lay our relationships on His altar, pour oil over them, and ask Jesus to restore, refresh, refurbish them. —when both parties have yielded hearts. Ever wonder why we can’t let something go, sometimes after years of it still being broken? I don’t think we’re meant to because when we love others, we go soul-deep. That doesn’t mean we should carry around offenses in our hearts, but if we still ache from a broken relational tie, I think that’s part of who we are. We are relational beings. So how on earth do we reconcile that when we seem to be the only one wanting to repair? I believe that when folks don’t come back to us, He mends that hole in our heart just enough that we can move on for the time being, but not fully, so that we remember to continue to pray for that person. Real love never really has permission to fully let go because God is love, and God never lets go. Every time I give a weakness of mine to Jesus, I find out how incredibly strong He is. So so strong. It should be no different for our fallen, broken relationships. We strive and muck up situations where misunderstandings reign and tensions continue to sizzle. What if we were to step back and rest in just praying for those people? What if we stopped worrying about when and where it would get fixed? What if we stopped being so hypervigilant about protecting our own hearts? Don’t we trust Jesus to do that if we ask Him? Even if there is never full reconciliation, our hearts will heal through continuing to silently love this/these person/people through prayer. Make sense? Not every relationship in my life is healed and whole—although I keep praying!—but our yielded hearts are what God wants because then He does amazing things in us. And if we’re praying for them, you can bet He is doing something there too. I just want to be the best me in Christ I can be. I don’t need to patrol anyone else’s responses, reactions, or even interest in loving me. When we really understand this, don’t we find that to be a HUGE relief? I realize, in some cases, we live with or work every day with difficult people. And that certainly makes it more challenging, but the approach is ultimately the same. 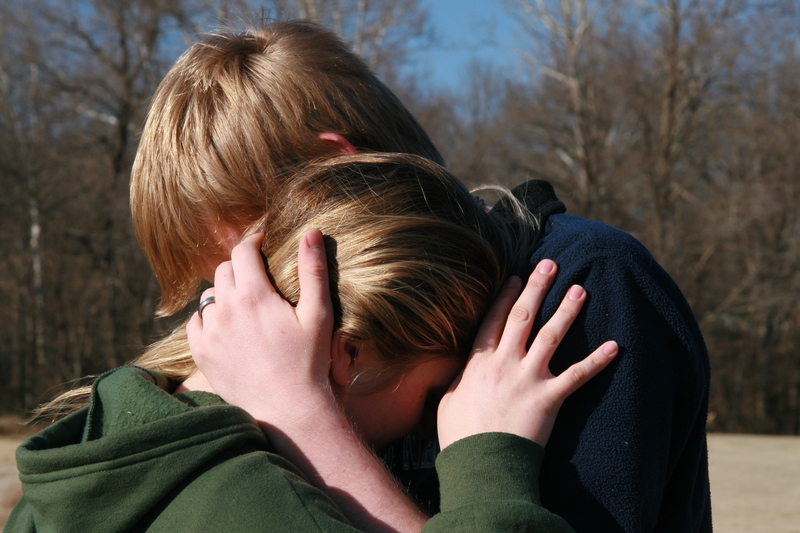 What relational hurt do you need to heave up onto the altar? Just getting it up there can feel like a huge feat. It feels heavy. It burns, aches, and even taunts you as you try to lift it up over your head. And the enemy of your soul will tell you that you have no right to lay it there. But because Jesus died and rose again for you, you absolutely do. Furthermore, He actually wants to take it from you. When I put it there, in my heart and prayers, I picture dedicating it with anointing oil, much like the nard with which Mary anointed the feet of Jesus (John 12:3). and heals us in ways that the expected/hoped-for results almost don’t matter. —looking so much more like Him. Every time I give a weakness of mine to Jesus, I find out how incredibly strong He is. *This post has been shared at Mom 2 Mom Monday Link-Up, Make a Difference Mondays, Pick Your Pin Tuesday, Coffee & Conversation, Simply Inspired Wednesdays, Saturday Soirée Blog Party, Grace & Truth, A Little R & R, RaRa Link-Up, Dance With Jesus, Blessing Counters, Find Stability, and Christian Mommy Blogger. 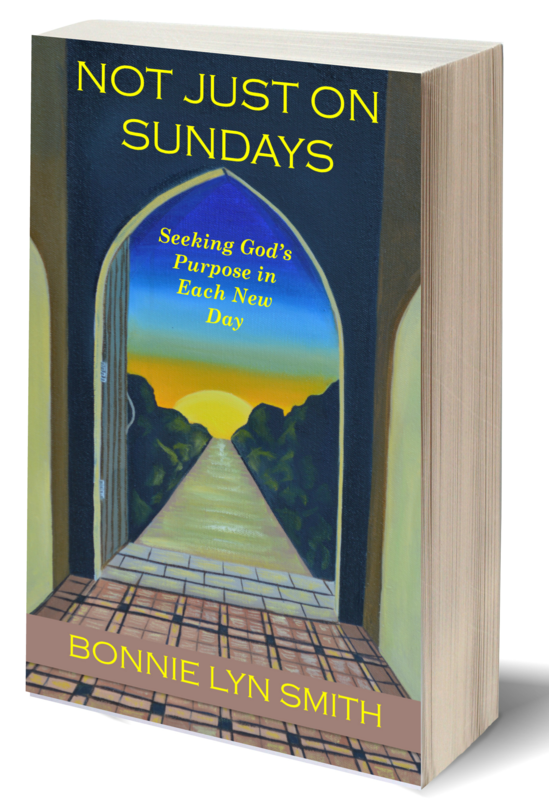 **More anecdotal stories about faith, family, and relationships can be found in Not Just on Sundays: Seeking God’s Purpose in Each New Day (includes Book Club Discussion Questions). Oh yes, I know this! There is a relationship that I keep leaving at His altar. One filled with so much pain and disappointment. But I know, through it, He will be glorified. Thanks for your thoughtful post! 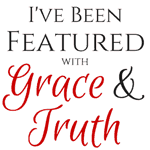 Oh, Aimee: Thank you so much for stopping by “Espressos of Faith” and sharing your thoughts! I can relate! Sometimes I get greedy and controlling and take it back off the altar again and have to surrender all over again. Praying yours gets repaired. The waiting is so hard. Blessings! —looking so much more like Him.” Praying that we both look more like Him! Amy Lynne: I always appreciate you weighing in. I’m glad this encouraged you. It’s so hard, but the best part is: God has it! Who better? And really, it’s freeing to know we can trust that and trust Him. Praying for you as I know you are for me. Blessings! So much to think about here. This started it off for me: “…there just isn’t enough of our selflessness to be able to get out of the way and walk fully in the other person’s shoes.” Isn’t that the truth? No matter how much I try to be selfless, my self keeps sneaking into every interaction. When I focus on God, it becomes easier, but I’m never free of myself in order to forgive – and forget – fully. Thanks, Andrea. That came to me the other day because I struggle so often fully being able to grasp another person’s perspective when they are the polar opposite of my perspective, and I also struggle to understand sometimes how I could be so misunderstood. But then we peeps get in our own way without Jesus. Only His lens knows both sides. Still trying to mature in this. Growing is good. 🙂 Blessings! I like how you discussed getting our selfishness out of the way. Hadn’t never thought of that being part of not being able to get over some type of relational pain but it is. But I guess holding onto personal pain and not thinking of how the other party may feel is just that. Much food for thought in this post. Thanks for sharing. Thanks, Mary. I go crazy sometimes trying to get inside another person’s head, but ultimately, I don’t have to. I just have to remember only God sees both hurting hearts fully. I need to be reminded of this in every relationship bump I hit. Blessings to you! Thanks for stopping by! I love your honest view on this and love the scriptures you shared too! God is strong, and we are weak – that’s for sure! Thanks, Clare! I really appreciate the encouragement! Nothing better than scripture! We try our own words so often, but really, the only living Word is God’s. Blessings to you! Really, Jennifer? Wow! I’m so honored! I love what you’re all doing over there at Grace & Truth/A Divine Encounter! Thank you so much! More than anything, I want people to know where to take those excruciating (and sometimes just chronic dull ache) relational pains. Jesus is the only One Who can carry those for us. And it’s one of the hardest areas to trust Him, for me personally, but I have to picture that altar and then imagine how pleased He is when I lay it down and let Him take it. Blessings! You made my day! I really appreciate your perspective on these relational issues. I absolutely agree that only God knows the full story of each of our experiences, and yet as we cling to the Lord he gives us courage to keep working toward reconciliation. Thank you, Aundi! So glad to have you comment here at “Espressos of Faith”! I believe He calls us to always leave the door open for reconciliation and be willing to yield our own hearts in that direction when the other person is ready. I often have to remind myself He knows the pain and loves the person on both sides of the relationship. Blessings to you! Lyn God bless u for warming up so many weary and broken hearted women like me. Very simply and clearly quoting from the scriptures you have sown hope. I try to surrender everything to Him but I claim it back without fully heaving it on the altar. Thanks for the wonderful post. Sowjanya: Thank you so much for stopping by and commenting here at “Espressos of Faith”! I am sorry you are feeling weary and broken-hearted. The Lord is surely close to the brokenhearted! I’m so glad I have sown hope. Hope is ever-present, but we must be reminded from time to time. I find certain relationships so hard to get my hands off of and let God have them. Still learning. Blessings to you! Reading this I’m reminded of something my Nanna told me: You have friends for a reason; friends for a season and friends for life. It’s sad that some friendships don’t last a lifetime, whether that’s because of falling out, or drifting apart, moving away. I really liked your perspective on God healing us, just enough. Thanks, Ally! So glad to connect with another faith blogger! I appreciate you popping by “Espressos of Faith”! I like what your Nanna told you. Great advice and so true! Thank you for contributing to #FindStability. I was thinking about one relationship in particular this past week that has gotten better in the past year. I’m still praying, believing that God has His goodness in mind. I’m continuing to pray that I will die to myself in this area too. Your post was very timely! I love how you wrote: What if we stopped being so hypervigilant about protecting our own hearts? Stacey, thanks so much for stopping by “Espressos of Faith”! I’m so glad it was timely. I revisit this from time to time as I try to see what I can glean as learning experiences from both currently broken and currently healing relationships. I really appreciate your thoughts! Blessings!